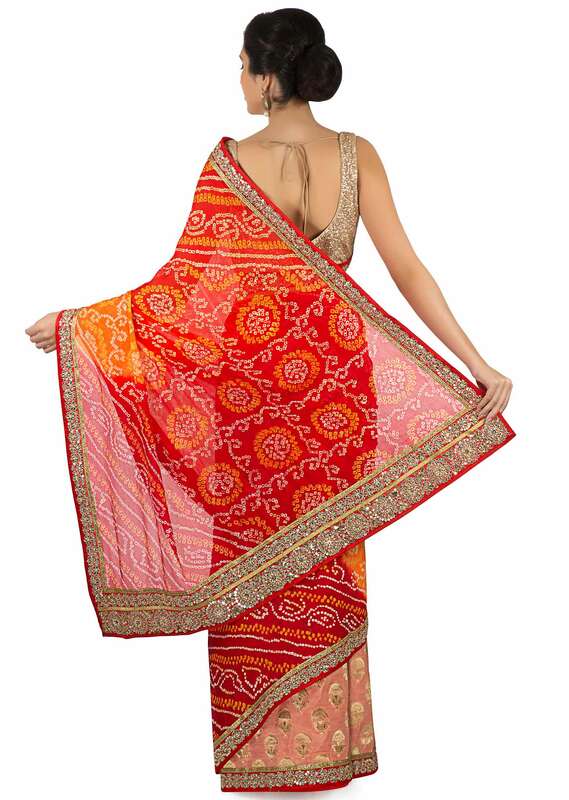 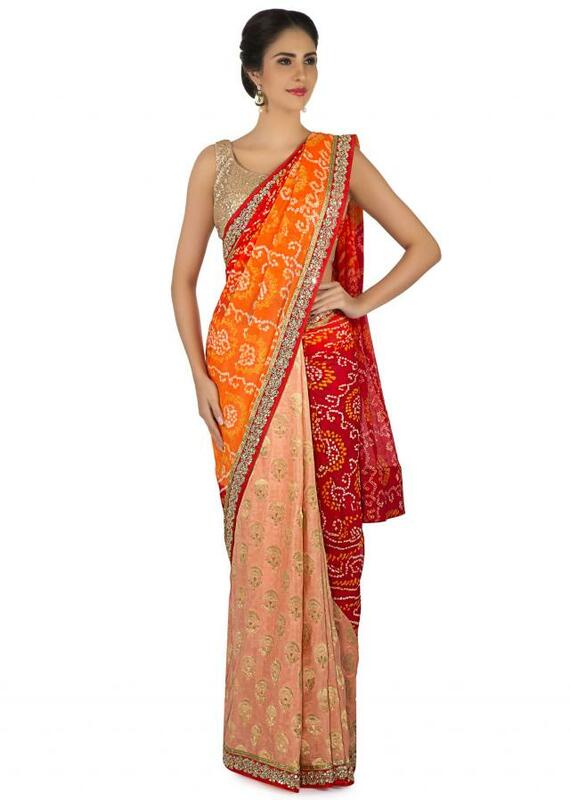 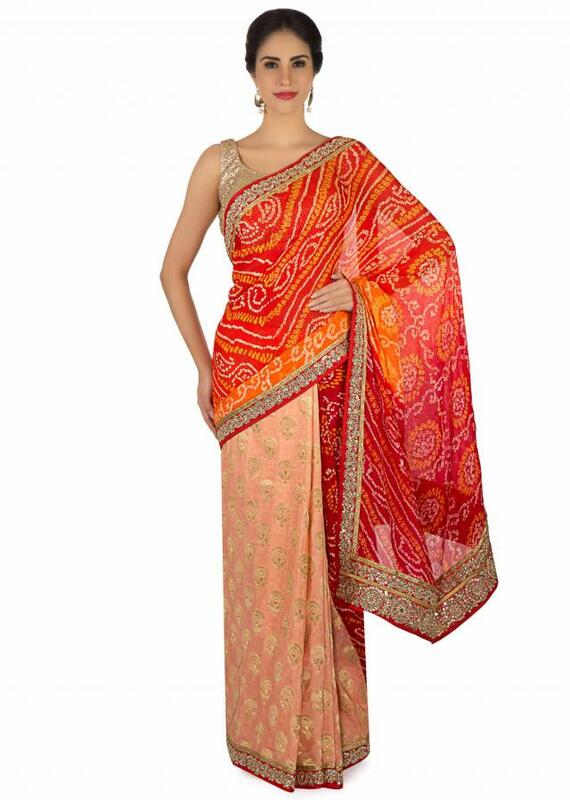 Half and half saree with pallav in orange and red shaded bandhani and other half in peach brocade. Border is highlighted in weave and gotta patti lace. 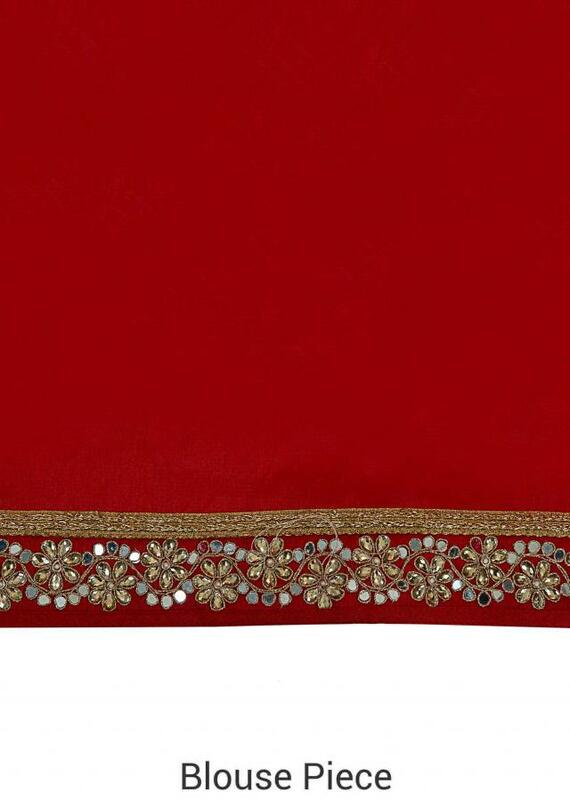 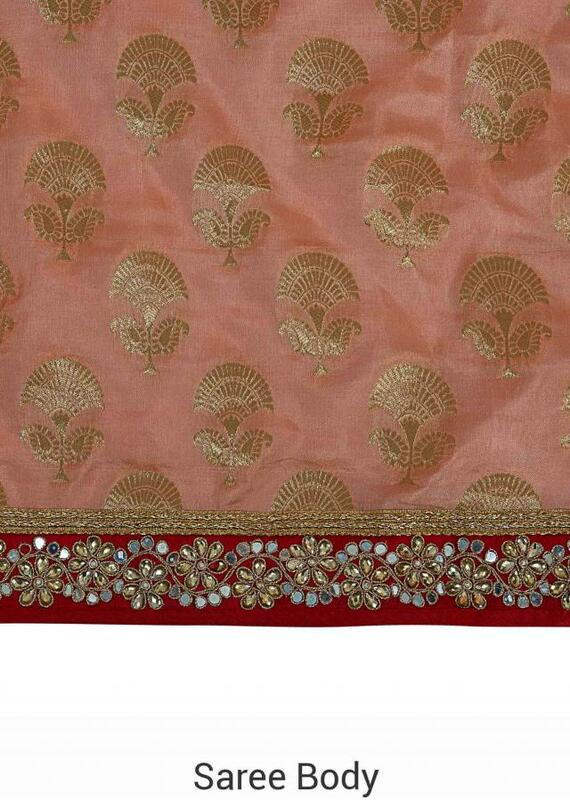 Matched with unstitched blouse in silk.